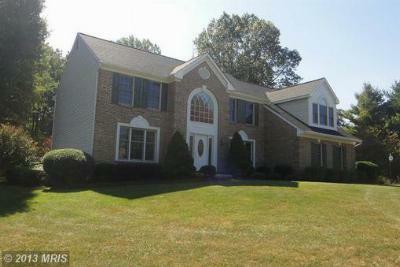 Amberwoods is one of the hottest areas for Luxury Homes for Sale in Sykesville MD. Located by the Howard / Carroll County line, homes here offer incrediable views, tons of room, great neighbors and top notch schools that are close to Washington DC and Baltimore, with quick access to Rt 70 via Rt 32, while retaining the slower pace of a semi-rural community. This beautiful 4 bedroom, 2.5 bath brick front sits on 3 acres of land including a creek. It has all the amenities you seek with a garden bath in the master bedroom, hardwood floors, a 2 story fireplace and many details. With over 5,000+ sq ft, this colonial sits on 5+ acres and is surrounded by beautiful views both inside and out. Gourmet kitchen, first floor bedroom (or office) suite and a sunroom are just the begining of this custom built masterpiece.